In the late 1890’s Finnish immigrants made up approximately one-quarter of the population in Red Lodge. The Finnish Hall and Opera House was built in 1897. This building housed multiple events such as prizefights, wrestling matches and silent movies. A drama group also occasionally performed here as well as traveling theatrical groups. The Finnish Hall and Opera House hosted the first high school graduation ceremonies for the Carbon County High School in Red Lodge. The building was sold again in 1917 and from that time on was used as a barbershop, a miners’ supply store and pool hall. It was also served as the Park Bar in 1940 and later a supper club called the Carbon County Coal Company. 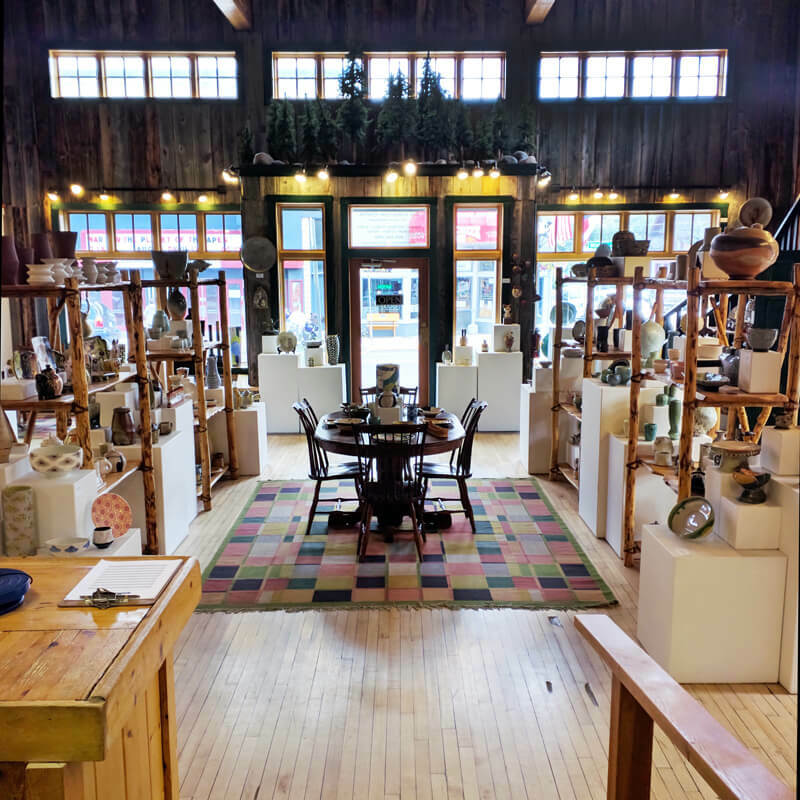 The building is now the Red Lodge Clay Center Gallery and Community Classroom. The front gallery showcases contemporary ceramic artwork from national and international artists. The 13th Street Studio in the back of the building serves as a community classroom to those of all ages, and there are two apartments upstairs for our short-term resident artists.